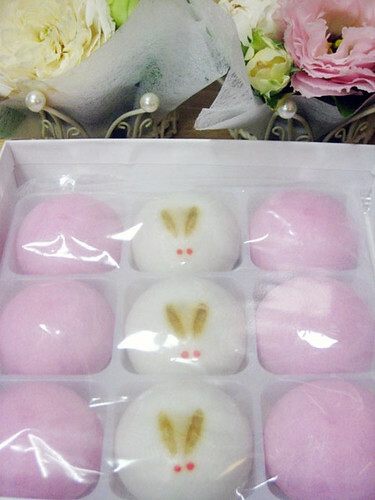 a box of red (= pink) & white rabbit manju, it was called “hiki-gashi”, that is a traditional custom. 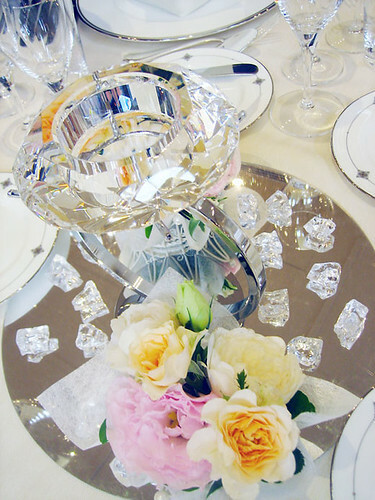 flowers of our table decorated… share beauty from bride! 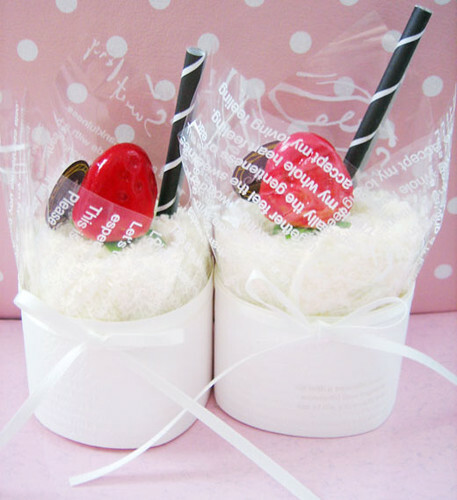 at last… cute cakes made from rolled mini towels! of course I can use it if I untie these, but too cute to do that. HAPPY WEDDING!